Welcome to the online home of Gianna Della Luna Publishing - the innovative publishing house that handles books by the inspirational author writing as Gianna Hartwright and Jane Hunt. Autumn 2013 saw us introducing the fabulous and much-acclaimed book, The Befana Drama, to British children across the country. We visited 51 different locations taking the book into schools, shopping centres, Dobbies garden centres, bookshops and visitor attractions. We built up an army of young fans, who all decided to #befriendBef taking our chief protagonist, Bef, to their hearts and loving all of our other larger-than-life characters. The feedback of these many excited children enabled us to shape Befana Drama 2 for a launch at the Bologna Children’s Book Fair on March 24, 2014. It has also enabled us to devise Creative Writing Workshops for children aged 9-11 and to take Bef into the classroom, as well as the home. Both books are full of magical adventure, fantasy, flights of imagination and flights by broomstick, not to mention witch-dust of the most wondrous kind! 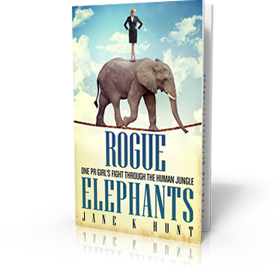 They transport children into a land of make-believe and twists and turns that make the books true page-turners to the very end. They are books equally appealing to boys and girls and books that parents will absolutely adore, if they are charged with reading the bedtime story. With friends and foe of most marvellous proportions, gripping plots and story-lines rooted in Italian folklore (The Befana) and that from other parts of the world, these books provide bedtime stories full of magical moments, giggles and gasps – not to mention parents attempting accents from around the world! Both books have a cinematic quality that sees words painting powerful images that bring the action to life in great detail. We think they are for children aged 9+, but we also know that many adults are as gripped by their content as their kids are! In Bef, we have created a 21st century action hero, who has a heart of gold, a shocking lack of patience, very wonky magic skills and many other quirky qualities … no wonder children across the world have already grown to love her! Intrigued? Wishing you were 8-11 years old again? 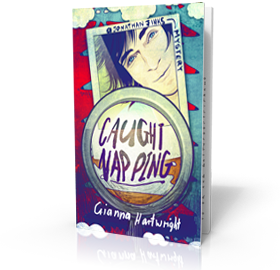 Click here and find out more, or read on and discover how Gianna Hartwright came to write this book. Should you wish to discuss any marketing opportunities or have a media enquiry, please call +44 1253 891114. 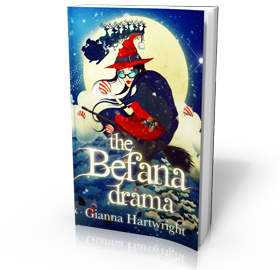 Now please visit our Befana Drama book page to find out more.